Below are all our 4th of July book reviews together in one easy to find place. Also the last book is a new review not found in any other post. Have a fantastic and safe holiday weekend! 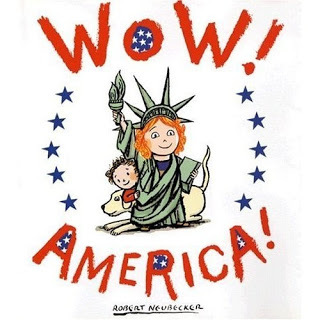 “Wow America!” by Robert Neubecker has already been memorized by my son since I found it at the library on Sunday. I can’t blame him and in the 50 times I have read it in the past few days I have found something new and interesting each time. The story is simple, a baby runs away and her older sister goes after her and they see some of the wonderful things in the United States that make us all go “Wow”! Each page has a short title like “Wow Statue” for The Statue of Liberty, then a little more text to explain what the reader is looking at. 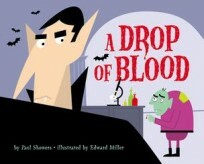 The illustrations are detailed and we’ve played eye spy with this book more than a few times. This is a wonderful book and the map on the inside cover has been fun to play with as well, we like to find where various far off friends and family live. Go check this book out for sure. 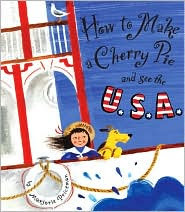 “How to Make a Cherry Pie and see the USA” by Marjorie Priceman didn’t disappoint one bit. I was worried after falling in love with the previous book that this couldn’t live up to my expectations. It did! This time she wasn’t looking for ingredients for the pie, but rather materials for her tools. She gathered wood in Washington for her rolling pin, cotton in Louisiana for pot holders granite in New Hampshire for her pastry slab and more. What I wasn’t expecting of this book and loved was how she gathered natural resources and then processed them to make what she needed. 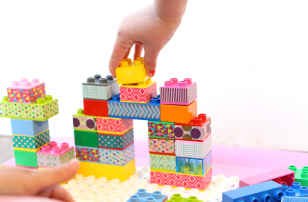 I think this is a wonderful lesson about manufacturing and could be used for a launchpad for learning about so much more. Another gem I will be adding to my must buy list. 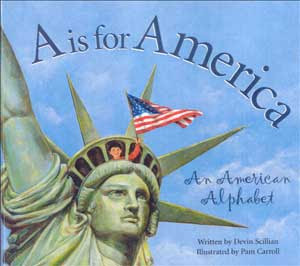 “A is for America” by Devin Scillian is a perfect mix of national pride and real facts. As a Canadian I always feel strange critiquing works like this. I don’t want to sound too critical and that won’t be the case with this wonderful book. 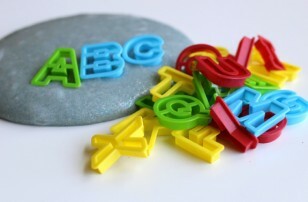 There are plenty of fantastic reasons to celebrate America and this book lays them on the table from A to Z ! 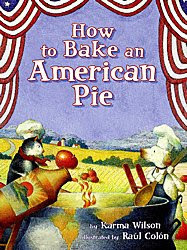 “How to Bake an American Pie” by Karma Wilson is sentimental, sweet and probably should be reviewed by an American. The reason I say that is that it’s written to pull at your heart strings. To make you feel pride in your country and I am sure it succeeds when the reader is American. But the same way I wouldn’t expect an American to get choked up singing “O Canada” the way I do, I just don’t get the full effect. Strictly as a book this was a little too figurative for my son. Although he loved the illustrations of the dog and cat baking the pie and kept turning back to the page with rainbows. 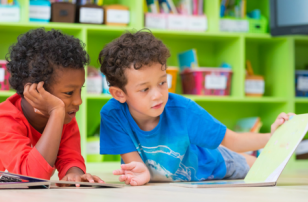 Older kids will recognize some of the text that is taken from America the Beautiful and will understand the figurative language. 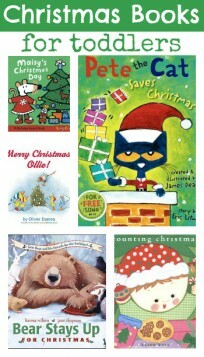 But they may be put off by the illustrations that seem more geared towards little ones. I would love to hear from any Americans who have read this book to get your take! 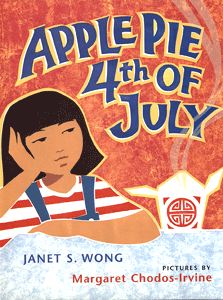 “Apple Pie 4th Of July” by Janet S. Wong is an awesome book. I am always awed by authors who can tackle complicated “adult” issues in the pages of a children’s book successfully. In this case the issue is 1st generation identity and immigration, at least that’s my take. 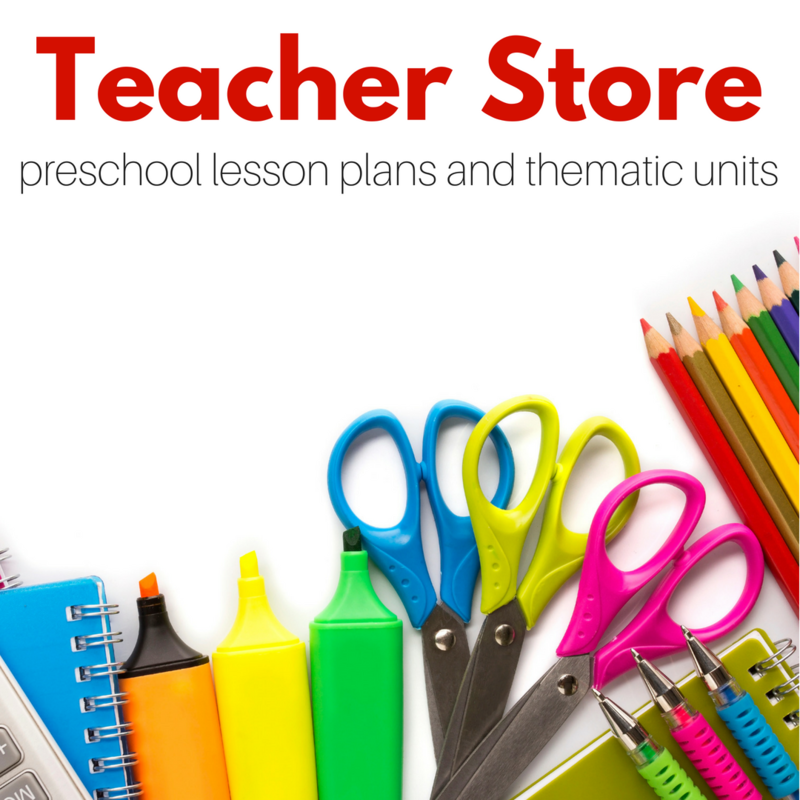 The little girl in this book is sulking around her parent’s store on the 4th of July. They are busy making Chinese food for customers she is sure won’t come. Who would want Chinese food on such an American holiday is her rational. Of course there are layers about her connection to her ancestral culture and her own national pride. As a proud owner of a green card and a Canadian passport I relate to this story. Sure the differences are as deep or as obvious to an outsider. Unlike the previous book however, when this book ended with fireworks I got tingles of pride for my adopted country. Fantastic book, and my son liked it too. 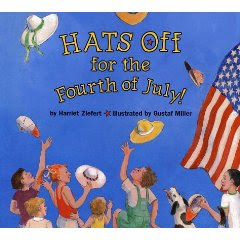 “Hats Off for the Fourth of July” by Harriet Ziefert is a fantastic book for children who are just understanding what this holiday is all about. The book follows a parade with hints of what is next to come along. Making the reader feel the same feelings a real parade goer does as they stand on their tippy toes to see what is on it’s way. Packed with marching bands, motorcycles, and more, my son enjoyed this book. He will see his very first 4th of July parade tomorrow. And this book helped me explain what he’ll see and when we get home it will help us discuss what we saw. Useful and entertaining. What books would you add to this 4th of July Book Reviews list? Comment below or share on my Facebook page!